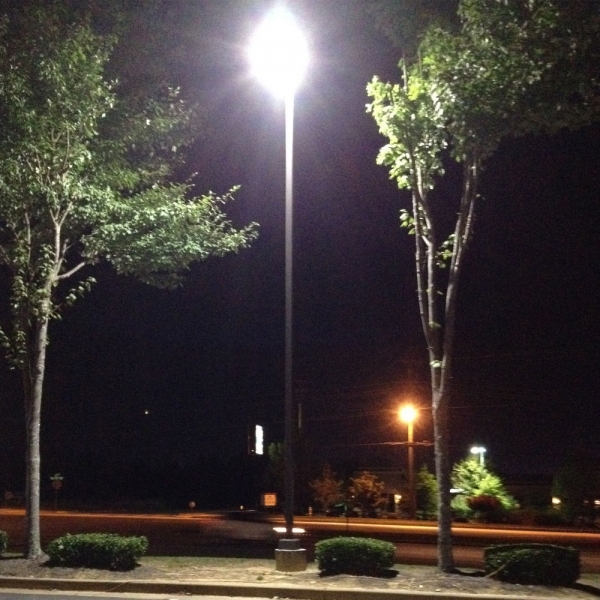 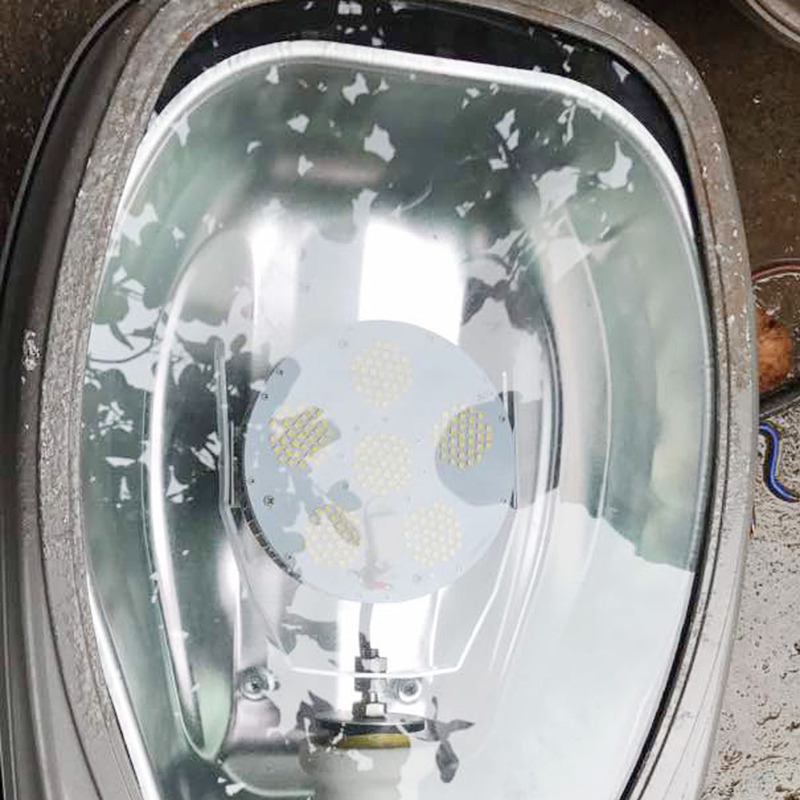 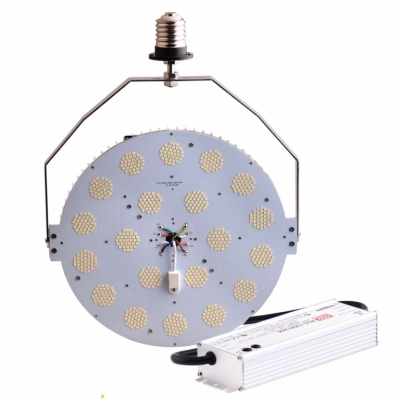 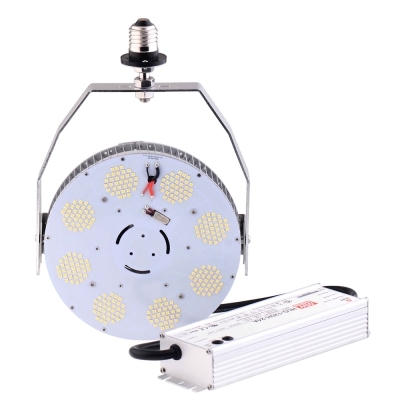 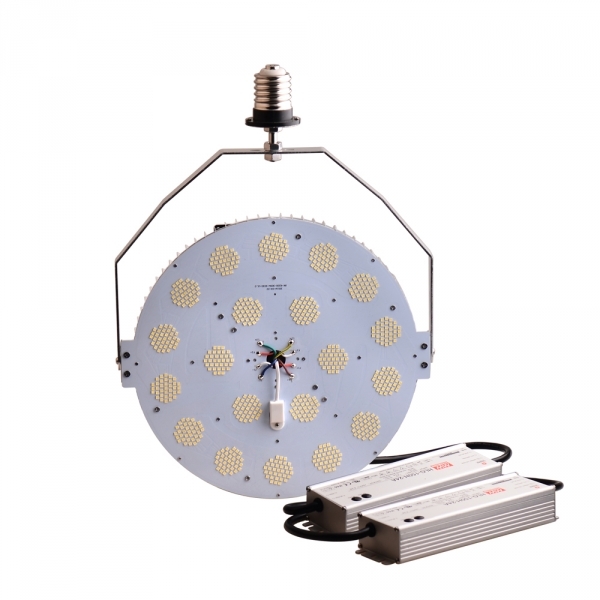 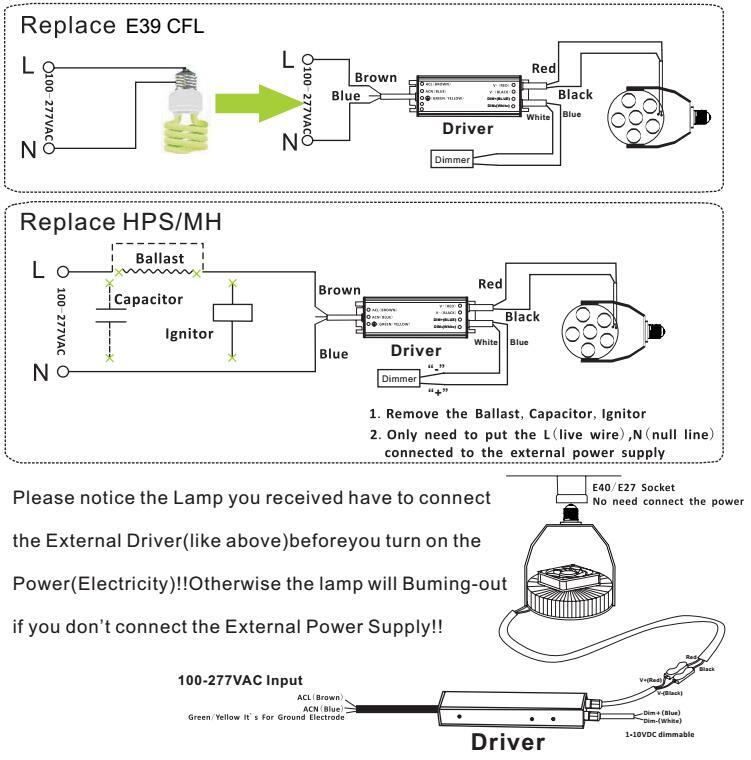 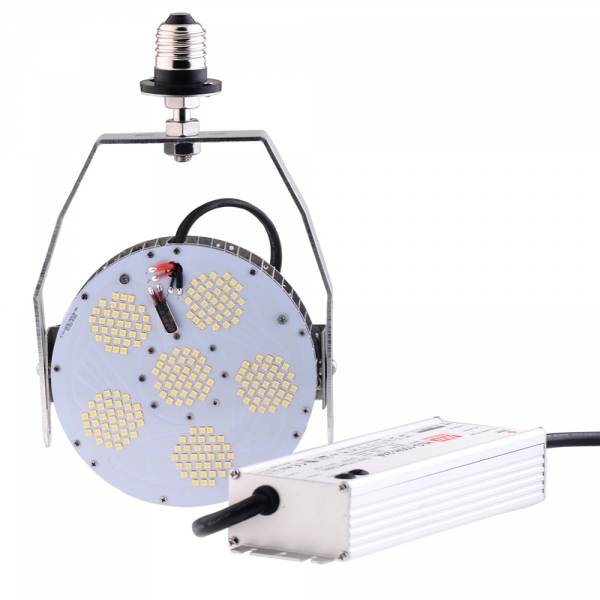 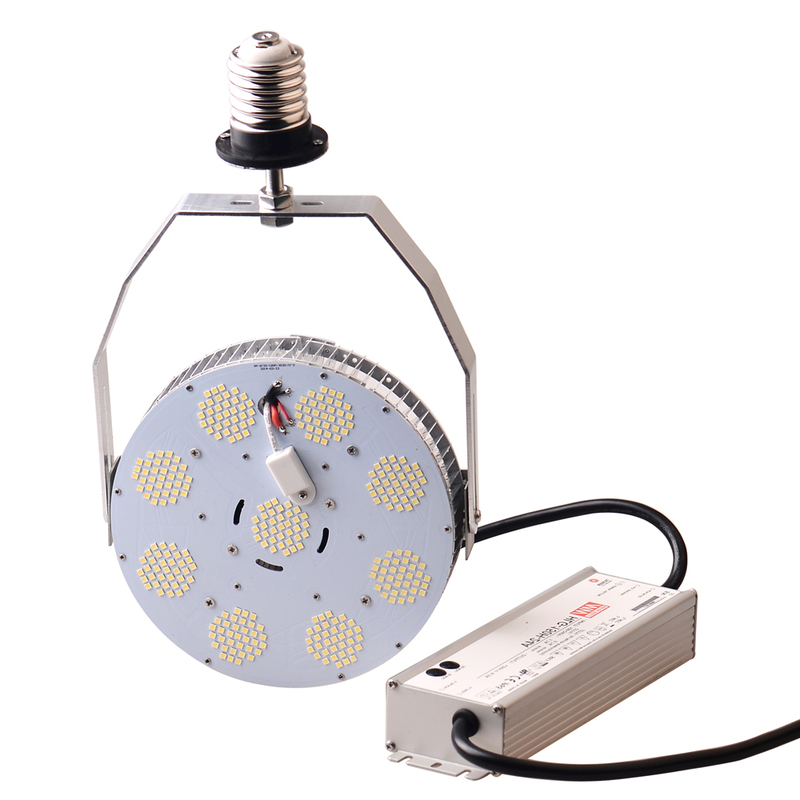 LED Retrofit Kits 150W E39 Mogul Base-ETL-DLC, 18000lm, 600W metal halide replacement, E39 mogul LED retrofit kit. 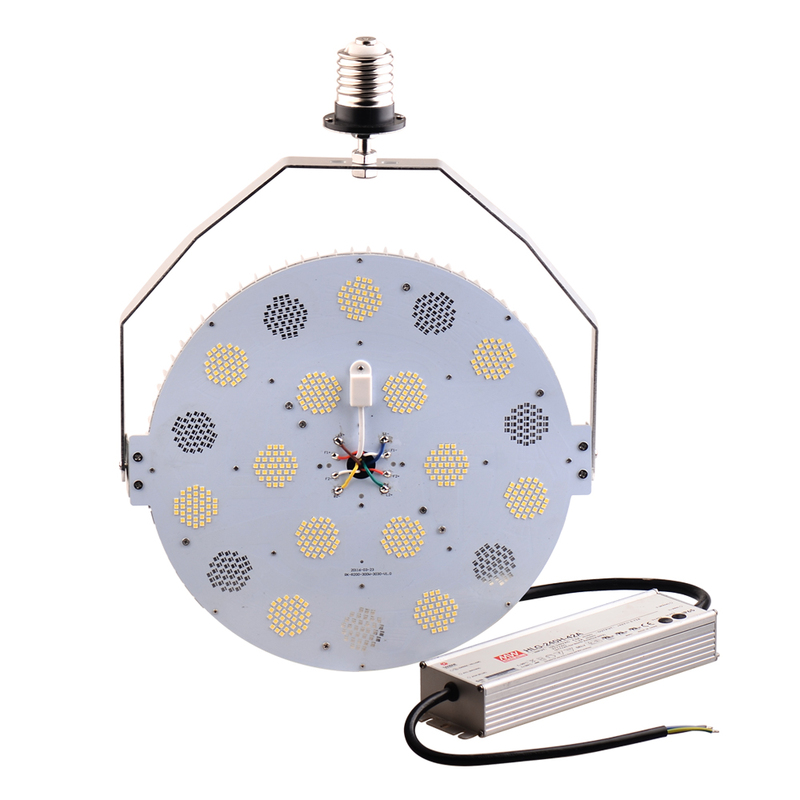 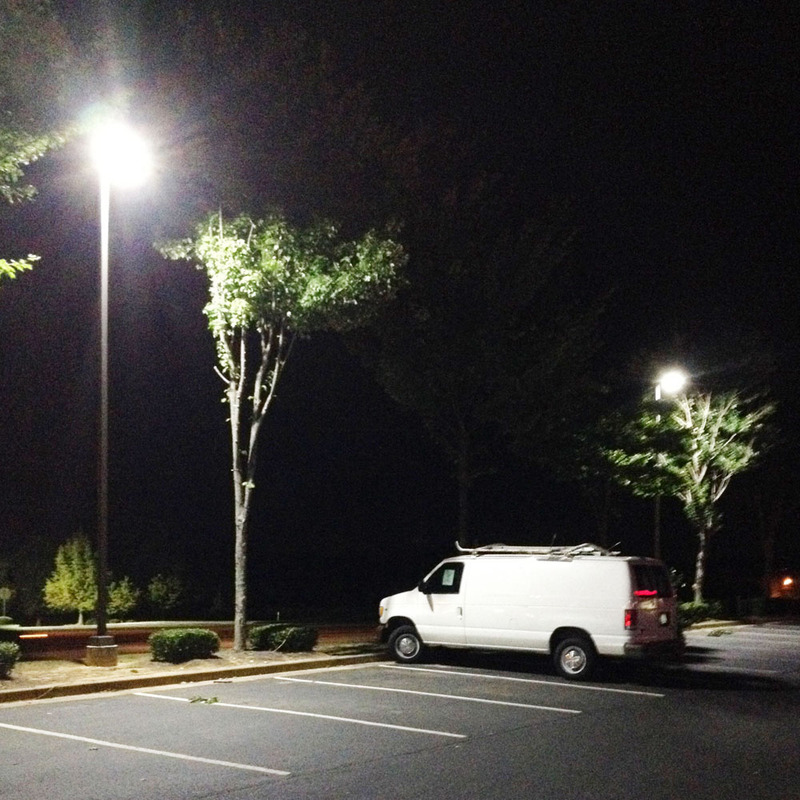 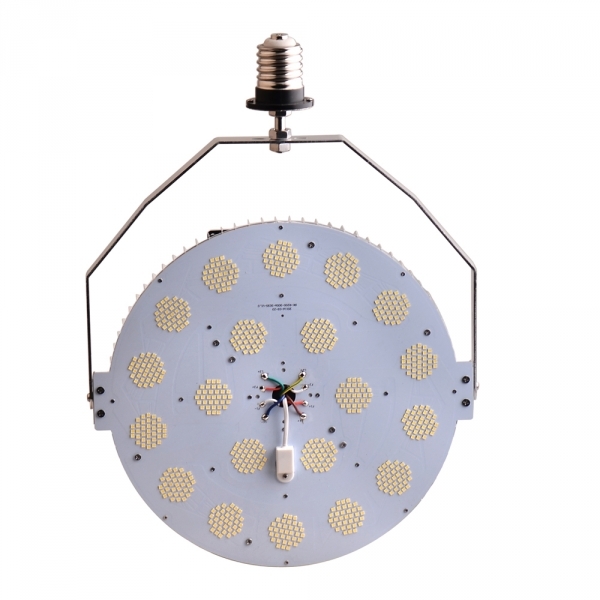 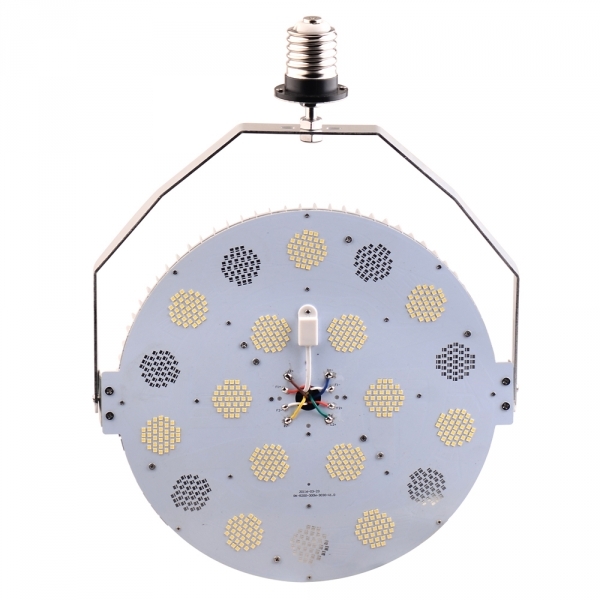 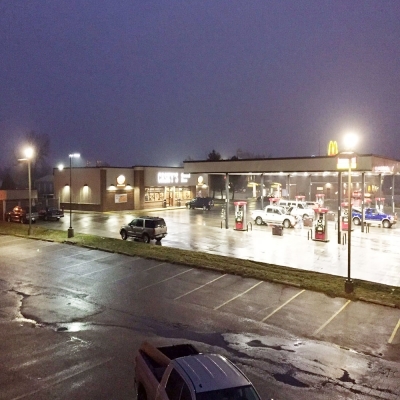 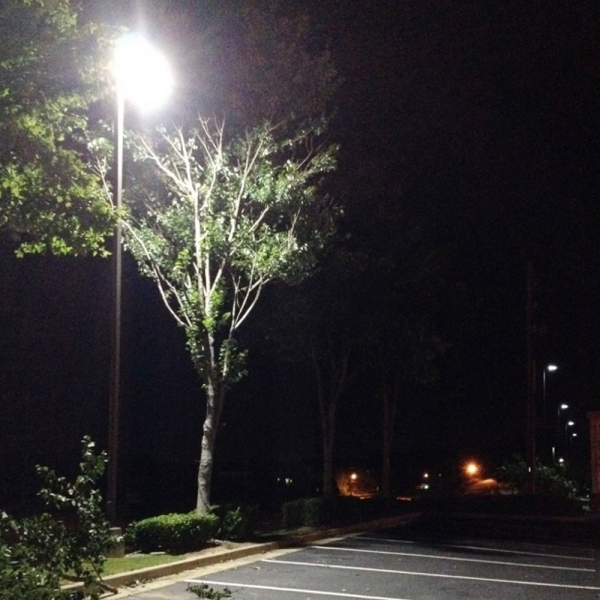 Easily Retrofit LED Light Fixtures, A true replacement for general lighting applications. 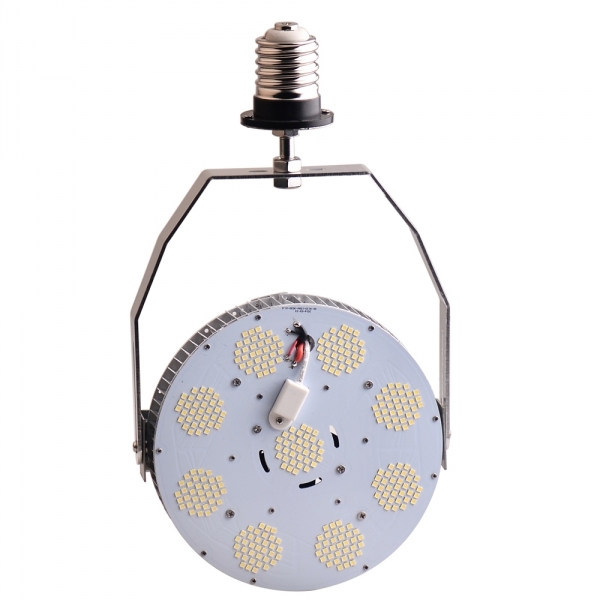 Patented E39 (Mogul Base) Screw-in LED Retrofit for customers. Specially designed for indoor and outdoor lighting. 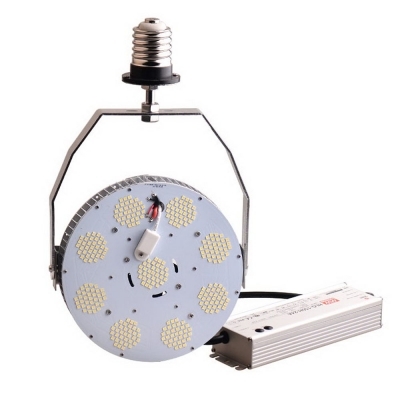 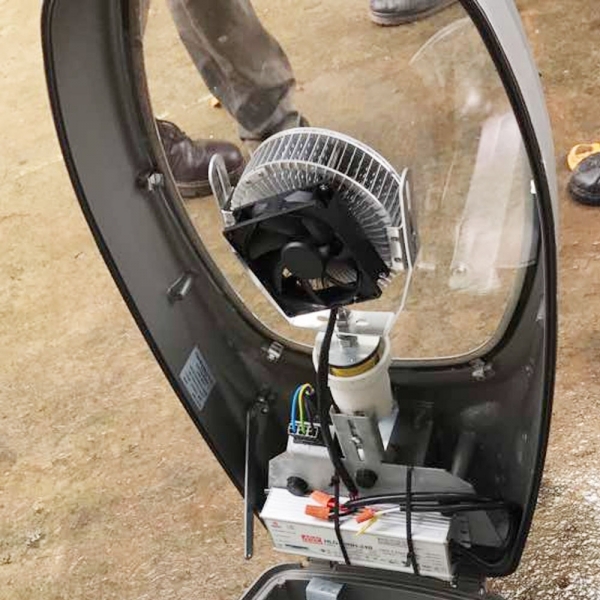 This kit can retrofit all the conventional lighting fixtures.